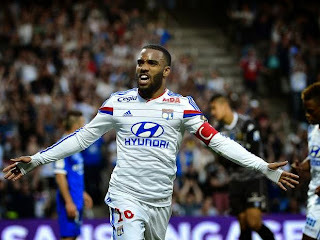 Chelsea are showing interest in Lyon forward Alexandre Lacazette with a view to a £15m summer transfer that will also include striker Loic Remy. Lacazette has been linked in the past with a move to the Premier League, with Arsenal and Liverpool both reported to be monitoring his future. However, according to The Sun, Chelsea will look to beat their rivals to his signature this summer by offering up a money-plus-player deal. 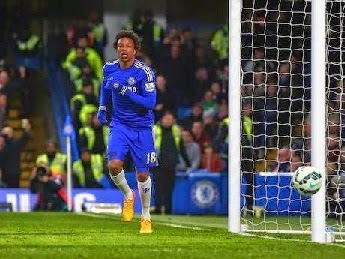 Remy has had to play second fiddle to Diego Costa this summer, and saw his playing time limited further despite the Spain international suffering injury as he was ruled out of action himself. The interest in Lacazette stems from his terrific form this season that has seen him score 30 goals and help Lyon put themselves into Ligue 1 contention. At present, they sit three points behind leaders Paris St-Germain, with four games each remaining this season.